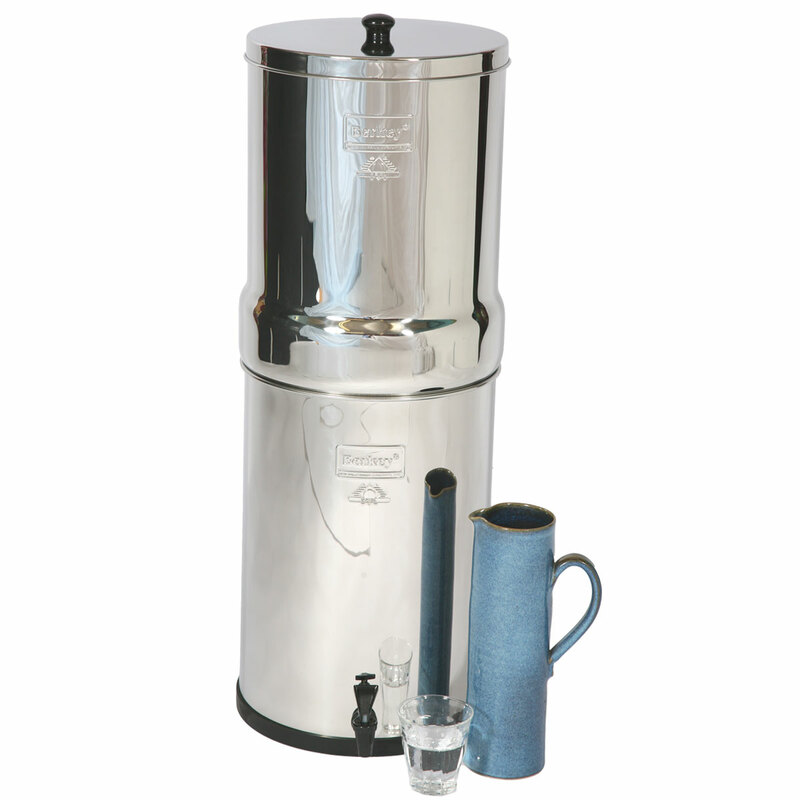 The largest of the Berkey water filter systems the Crown Berkey is the perfect water filter system for use with medium to large groups, whether it be at home or abroad. In churches, hospitals, campgrounds, caravan parks or offices the Crown Berkey fits the bill. The Crown Berkey water filter system may be ordered with your choice of one discounted Berkey accessory. For a description of the various Berkey accessories see: Sightglass Spigot, PF-2 Fluoride/Arsenic Filters, Stainless Steel Spigot, Berkey Replacement Parts, Berkey Stand or Berkey Primer. The Crown Berkey water filter will purify your home’s treated tap water as well as untreated water from such sources as lakes, brooks, ponds and water sources in foreign countries, where the local water supply may be compromised or regulations may not be adhered to. 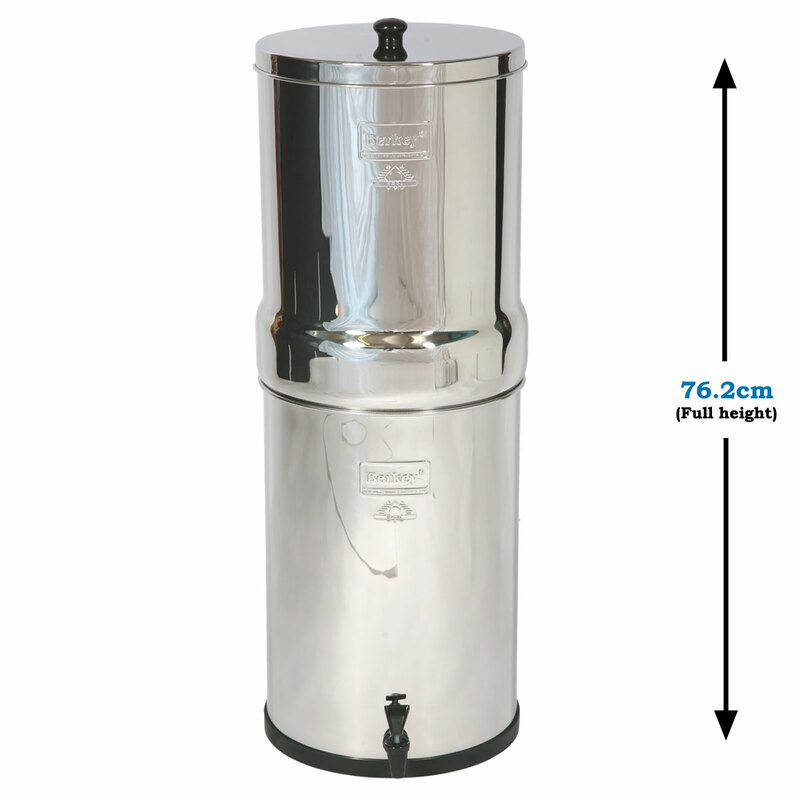 The Crown Berkey is the ideal water filter for the outdoors such as a busy campground or caravan park and is definitely a must in inhospitable environments where electricity or clean drinking water may not be at hand. The Crown Berkey assembles in minutes with no need for tools, electricity, water pressure, or plumbing. 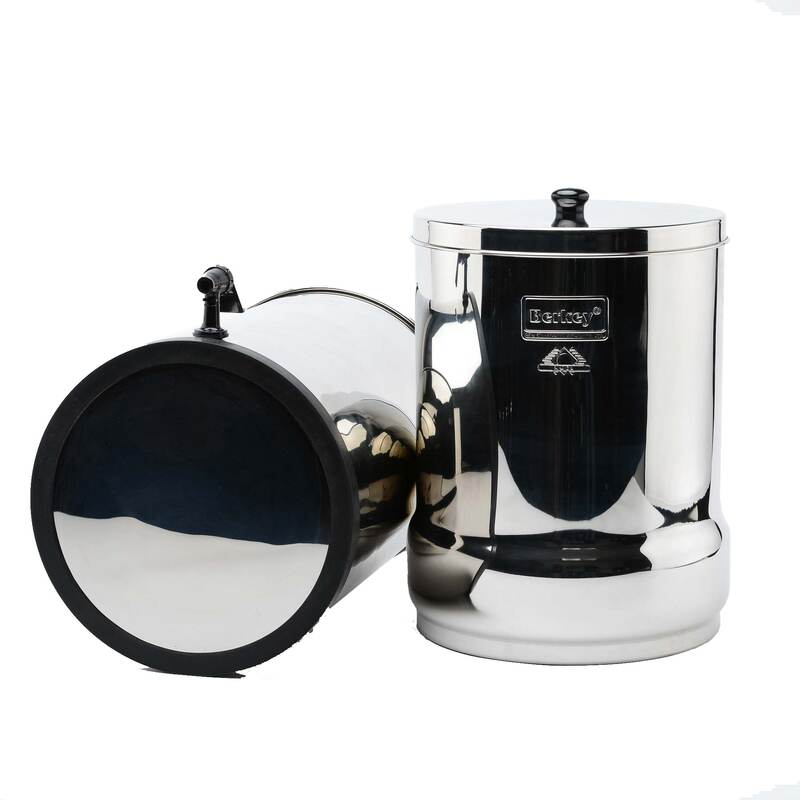 The Crown Berkey is also easy to operate, clean, and maintain. The Crown Berkey water filter system eliminates pathogenic bacteria, cysts and parasites entirely as well as removing toxic chemicals such as herbicides, pesticides, pharmaceuticals and all manner of VOCs, organic solvents and trihalomethanes. In independent testing the Black Berkey filters have also been found to reduce nitrites and toxic minerals among others: lead, mercury and aluminum (See a detailed list of which contaminants are eliminated by the Black Berkey Filters). Besides this the Crown Berkey water filter leaves undisturbed and intact the beneficial minerals your body requires. 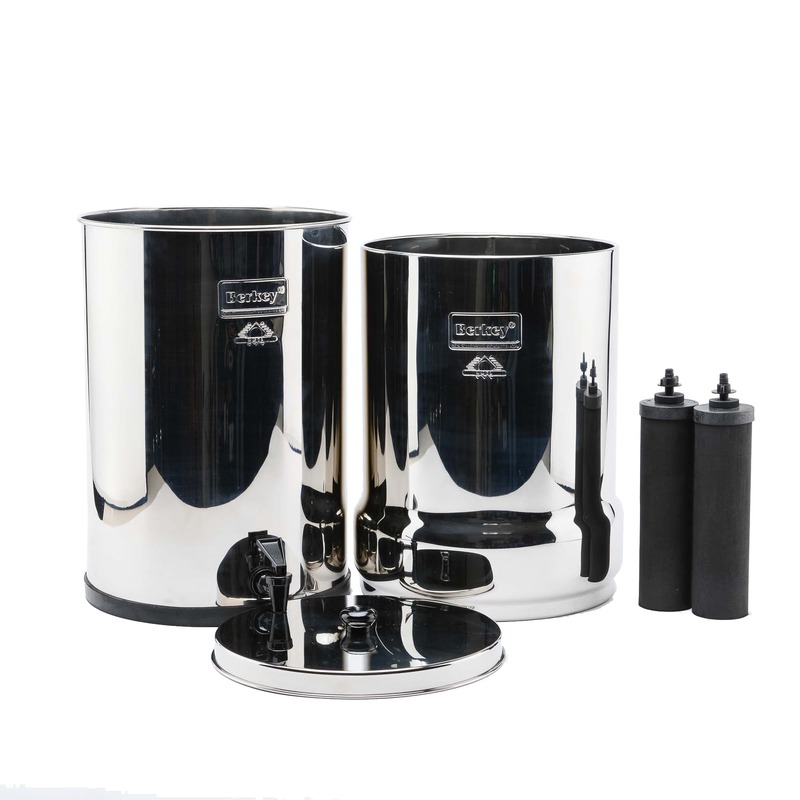 The Crown Berkey is manufactured from highly polished 304 stainless steel and the water filter system comes standard with two Black Berkey filters. The upper chamber can be fit within the lower chamber and measures only 20 in. (50.8 cm.) in height for easy transport.